The Aeroflot Group published its condensed consolidated interim financial statements for the third quarter and nine months ended 30 September 2018. 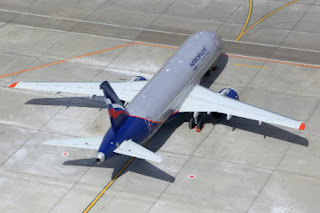 Andrey Chikhanchin, PJSC Aeroflot Deputy CEO for Commerce and Finance, commented: “Aeroflot Group has delivered a successful set of results for the third quarter – the high season and most important period of the year for any airline. The results are successful both operationally and financially, particularly in the context of the current environment in global commodity and currency markets, which to a greater or lesser degree impacts the results of all airlines, not just Russian carriers. “Our decision to accelerate operational growth and increase carrying capacities during the third quarter has paid off by allowing us to grow passenger numbers while also increasing the load factor and maintaining positive yield dynamics. Group passenger numbers grew by 13.1% in the third quarter, bringing the increase in the first nine months of the year to 10.2%. We are therefore confident of achieving our previously announced operational targets for the full year. “Revenue increased by 18.0% in the third quarter and was at a comparable level to the results of the second quarter. While revenue management remains a constant focus, this year we have strengthened our tactical use of capacity and load-factor management tools and introduced a number of other initiatives to reduce the risk of falling short of our revenue targets. “We continued to maintain tight control of costs in the third quarter, and as a result revenue grew faster than costs during the period for the first time this year, in spite of currency pressures and the increased pace of fuel-price growth year-on-year, at 47%. For the first nine months of 2018, the cost of a tonne of jet fuel for the Group rose by 36% year-on-year. “Our extensive programme to support our financial results – including initiatives on both the revenue and cost sides – has continued to deliver. Excluding fuel, CASK decreased by 2.3% in the third quarter despite increasing currency pressures on FX-denominated cost items. “For the first nine months, we recorded a net profit of RUB 22.5 billion. However, we have entered the fourth quarter with continued high jet fuel costs and excessive capacity in the market. Recent falls in the oil price will be reflected in aircraft fuel costs only in December. FX pressures on operating costs have not weakened, but rather somewhat strengthened. Aeroflot Group thus intends to maintain strict cost control in the fourth quarter. ” Said Andrey Chikhanchin. In 9M 2018, Aeroflot Group’s revenue increased by 15.2% year-on-year to RUB 466,345 million. Revenue from scheduled passenger flights increased by 15.8% year-on-year to RUB 379,408 million, driven by growth of passenger traffic. Revenue growth was affected by an increase in yields, primarily on international routes, as the ruble weakened against the euro and the consequent effect of this FX-denominated revenue. 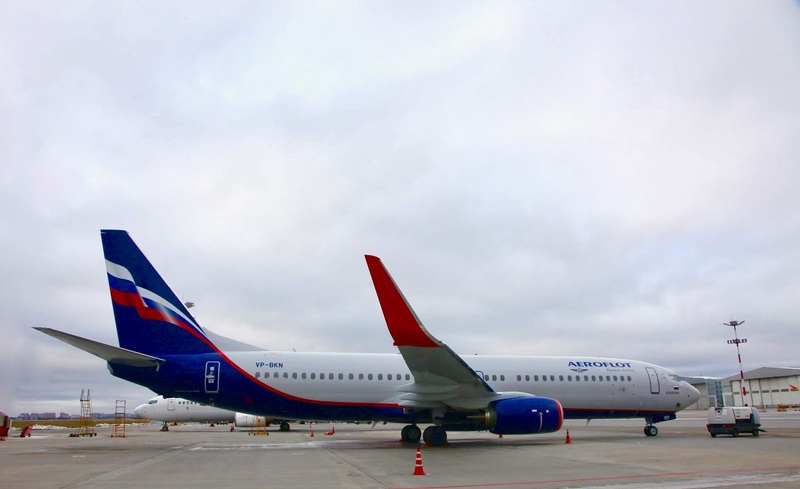 Revenue from charter flights increased by 34.2% year-on-year to RUB 30,566 million, due among other factors to the expansion of Rossiya’s charter programme. Cargo revenue rose by 13.6% year-on-year to RUB 12,839 million as cargo and mail volumes grew by 14.2%. Other revenue increased by 1.3% year-on-year to RUB 43,532 million, due to a rise in FX-denominated revenues from agreements with other airlines, which was offset to a significant degree by a decrease in maintenance of aircraft belonging to other airlines, as well as the introduction of the new IFRS 15 standard, which affects the classification of service fees for reservation changes between other revenue and revenue from scheduled passenger flights. .In 9M 2018, aircraft fuel costs increased by 46.7% year-on-year to RUB 131,965 million. This was due to an 36% year-on-year increase in the average price of aircraft fuel in rubles, as oil prices picked up more rapidly in the third quarter, as well as an increase in numbers of flights and flying time. Excluding aircraft fuel costs, operating costs increased by 9.0% year-on-year to RUB 297,534 million. Expenses related to aircraft servicing and passenger service amounted to RUB 80,268 million, a 7.4% increase year-on-year, due primarily to the growth of passenger traffic and increased airport fees. Optimisation of service costs constrained the growth rate of this cost item. Staff costs rose 1.3% year-on-year and amounted to RUB 61,315 million, due to an increase in salaries for aircraft captains effective from the start of 2018 and an increase in staff numbers to support the Group’s operational growth. The moderate increase year-on-year was also attributable to revaluation of the reserve for future payments to employees. Operating lease expenses rose to RUB 63,768 million, a 33.7% increase year-on-year, due to significant fleet expansion (net increase of 57 aircraft, or 21.8% year-on-year), as well as due to a year-on-year increase in LIBOR (average three-month LIBOR increased by 1.0 p.p. to 2.20%). The increase in these expenses in Q3 was due to higher depreciation and a weaker ruble compared to the same period last year. Aircraft maintenance costs grew by 22.0% year-on-year to RUB 32,009 million. Maintenance costs were significantly affected by an increase in volumes of technical maintenance due to the expansion of the fleet and the changing composition of regular maintenance work in the comparable periods, as well as growth of maintenance costs due to higher product quality demands. Selling, general and administrative expenses (SG&A) decreased by 5.7% year-on-year to RUB 22,478 million, following the launch of the programme to optimise costs, including marketing and advertising spend. Amortisation and customs tariffs decreased by 9.6% year-on-year to RUB 10,343 million, due among other factors to the ongoing reduction in the number of aircraft on financial leases. Other expenses decreased by 4.0% to RUB 27,353 million, due among other factors to the accrual of a reserve for liabilities to pay capitalised social payments stipulated by Russian legislation in the year-ago period, as well as an increase in revenue from rebates of excise duty on jet fuel.